General and Artistic Director of the National Philharmonic since January of 2002. Before, he was the director of the Pomeranian Philharmonic, the Orchestra and Choir of Polish Radio and Television in Cracow, the Great Polish Radio Symphony Orchestra (later the National Polish Radio Symphony Orchestra (NOSPR) (for 18 years) and the Orquesta Filarmónica de Gran Canaria. Starting in the 2010/2011 season, he took over the post of first guest conductor of the Orquesta Sinfónica de Navarra in Pampeluna. Antoni Wit studied conducting with Henryk Czyż. He also completed the Faculty of Law at the Jagiellonian University in Cracow. He began his professional activity as Witold Rowicki’s assistant in the National Philharmonic in Warsaw. After receiving the 2nd prize at the Herbert von Karajan Conducting Competition in Berlin, he became the competition patron’s assistant in 1971. Antoni Wit conducted in nearly all important venues in Europe, Asia, Australia and both Americas. He has conducted major orchestras, including the Berliner Philharmoniker, Staatskapelle Dresden, Tonhalle-Orchester Zurich, Royal Philharmonic Orchestra, the Philharmonia Orchestra, BBC Symphony Orchestra, Orchestre Symphonique de Montréal, Orchestra dell’Accademia di Santa Cecilia, Orchestre de la Suisse Romande, NHK Symphony Orchestra/Tokyo and the Petersburg Philharmonic. In May 2009, together with the Symphony Orchetsra of Czech Radio he inaugurated the 64th “Prague Spring” Festival. 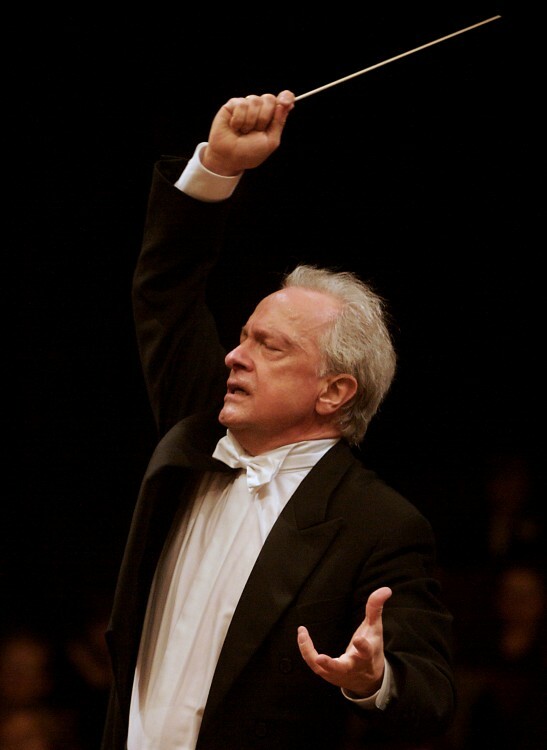 In recent seasons he directed orchestras at the La Scala in Milan, the Budapest Festival Orchestra, the Ulster Symphony Orchestra (Belfast), Petrobras (Rio de Janeiro), Duisburger Philharmoniker, Berner Symphoniker, China Philharmonic (Beijing), the Shanghai Symphony Orchestra, Denver Symphony Orchestra, the New Zealand Symphony Orchestra, the Teatro Colón Orchestra (Buenos Aires), the Weimar Staatskapelle, the Royal Philharmonic Orchestra (at the Montreux festival) and orchestras in Liège, Brussels, Bilbao and Barcelona. In 2011 he was a member of the chapter of the Premio Príncipe de Viana de Navarra prize and in the fall of 2012 he will lead the jury of the Grzegorz Fitelberg International Conducting Competition in Katowice. Antoni Wit recorded approximately 200 albums, many of which received numerous prizes (including six Grammy nominations, Diapason d’Or and Grand Prix du Disque de la Nouvelle Académie, Cannes Classical Award, ICMA and four Polish Fryderyk awards). His recordings include works by Polish composers: Paderewski, Wieniawski, Karłowicz, Szymanowski, Lutosławski, Penderecki and Kilar, as well as other compositions, such as the critically acclaimed interpretations of works by Mahler and R. Strauss. He recently recorded works by Moniuszko, Górecki, Weinberg, Brahms and Dvořák. He is one of a few artists in the world, whose records have sold more than 5 million copies. Antoni Wit is Professor of conducting at the Fryderyk Chopin University of Music in Warsaw.